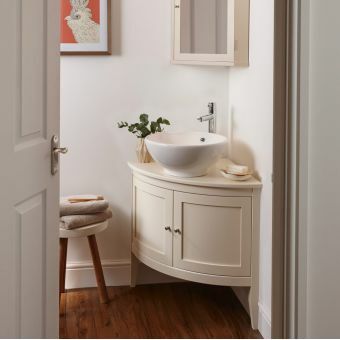 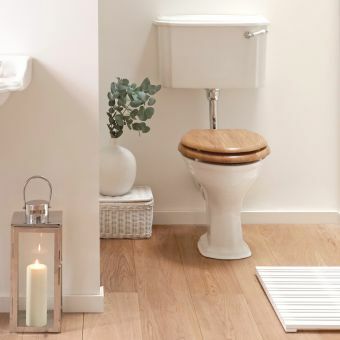 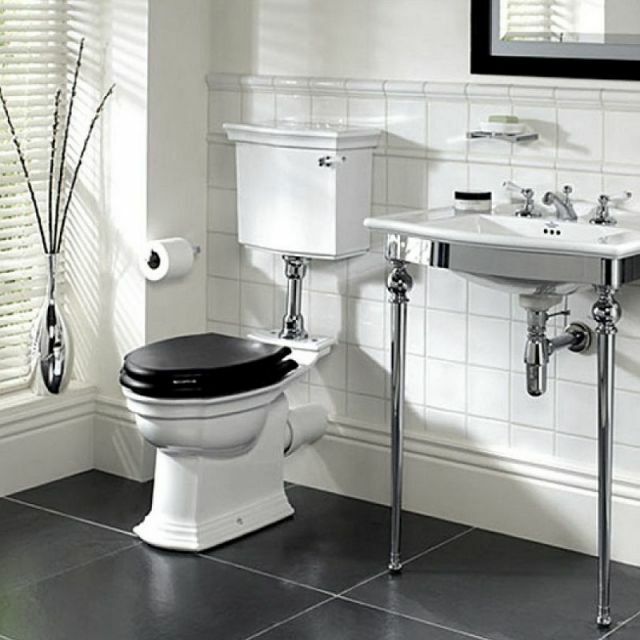 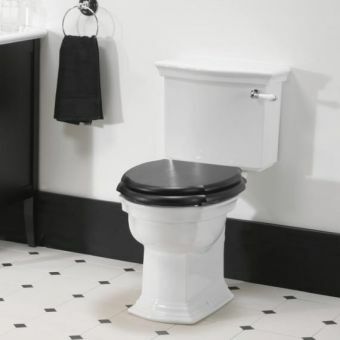 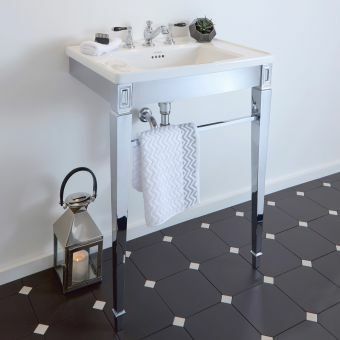 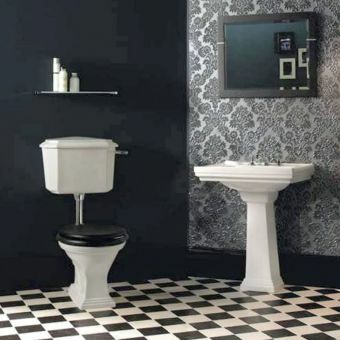 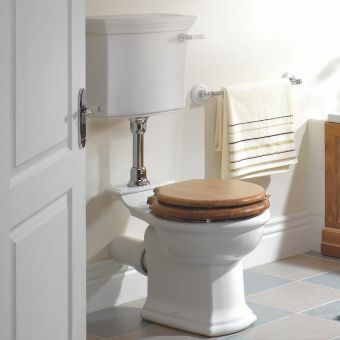 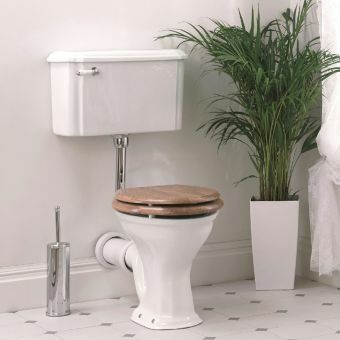 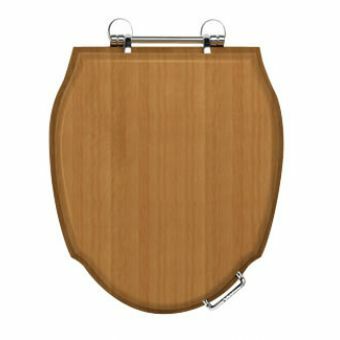 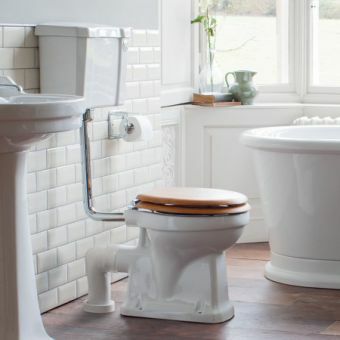 The Westminster low level toilet suite is a luxurious design boasting the highest quality ceramic and cistern fittings. 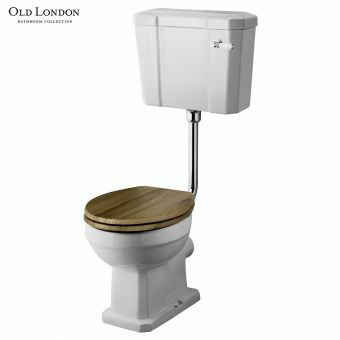 The cistern has a side lever operation giving you a 6 litre flush. 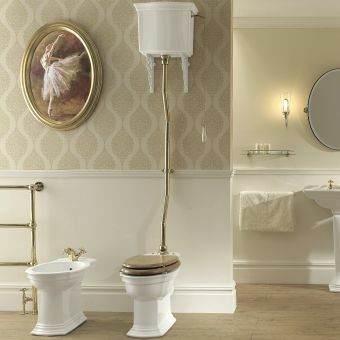 This suite is available in in Chrome or Antique Gold fittings. 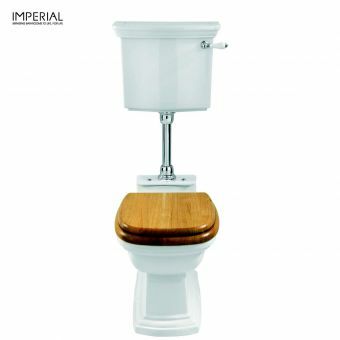 All seats are made from natural wood and finishes will mature with age, therefore colours may differ slightly over time. 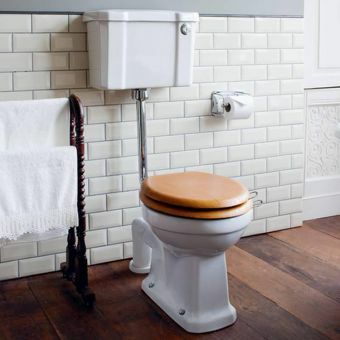 The low level toilet comes with a traditional lever with a ceramic insert and chrome, gold or nickel fittings to match the toilet seat.